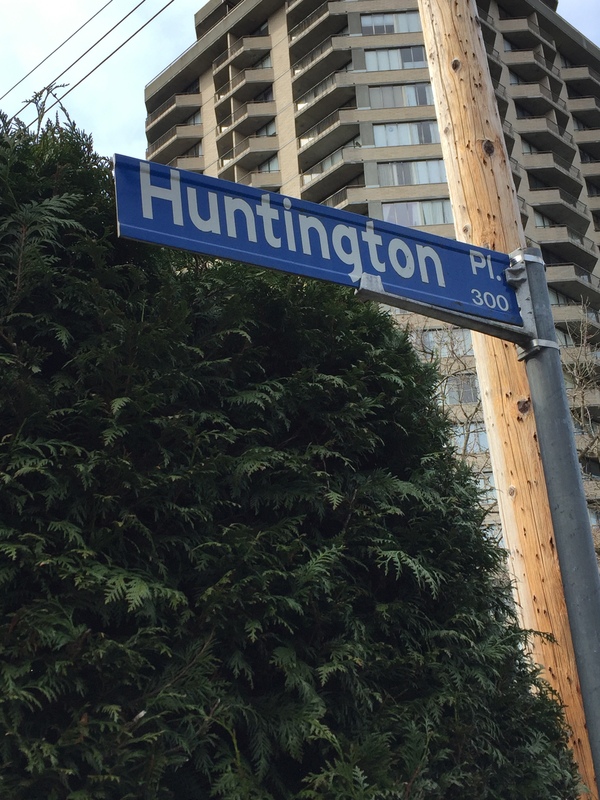 Today, H is for Huntington Place! Here is a Google map showing where Huntington Place is located in James Bay. 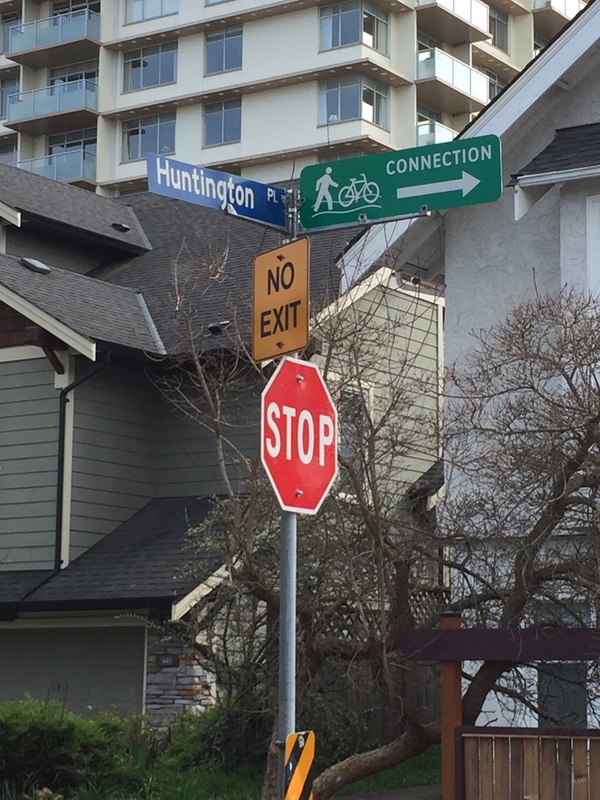 Huntington Place runs (one block) from Toronto Street to Avalon Road, near Beacon Hill Park. It used to be called Phoenix Place, but I don’t know when or why the name changed. And I only know this from a picture reference from the BC Archives. 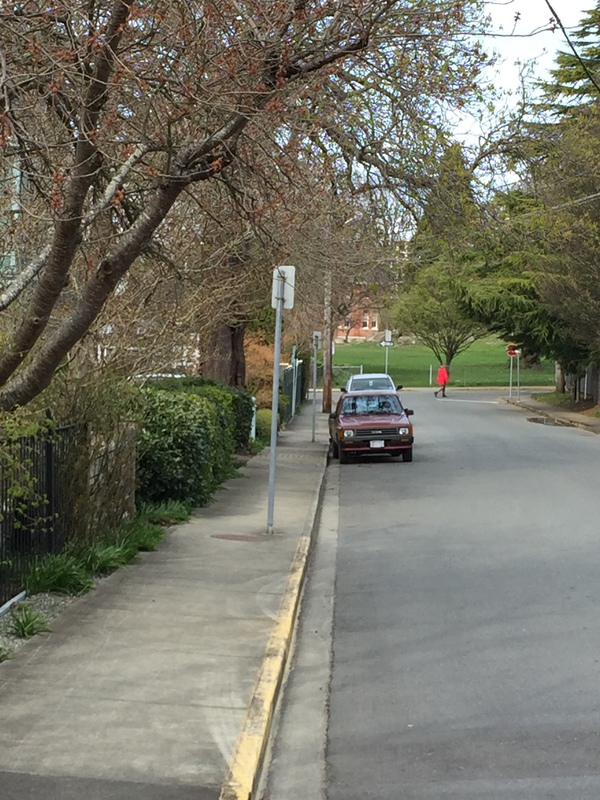 One one side of the street are apartment buildings, and on the other side are houses. 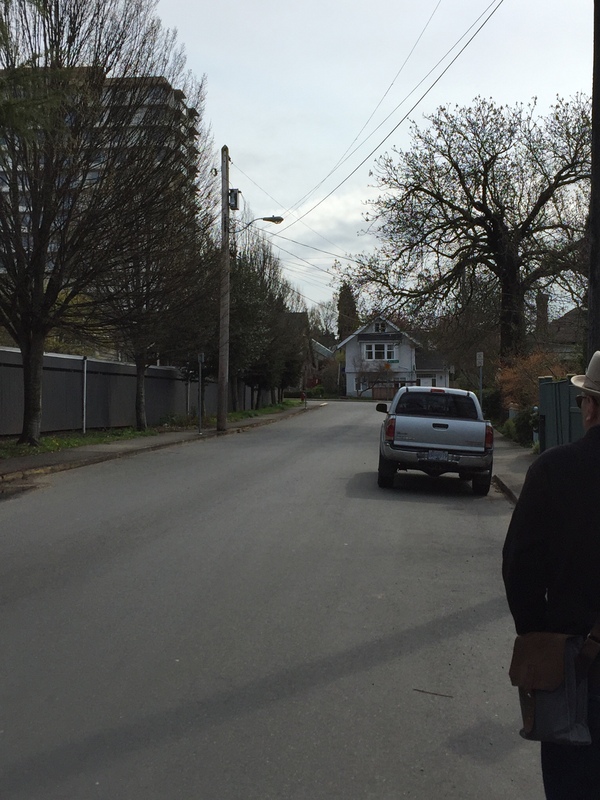 Two of those houses are on the Heritage register: 310 and 314, “twins”, right next door to each other – you can read more about them by clicking on the links below. So, there you have it. That’s all I know about this street. Short and sweet! Here are some pictures I took of Huntington Place. I just liked this sign. The turn onto the dead end part of Avalon. What else do you want to know about Huntington Place? Ask away, and I will see what I can find out for you! Thanks for visiting letter H of my A to Z Challenge post of 2017. You can find more H posts at http://www.a-to-zchallenge.com/2017/04/atozchallenge-4-10-2017-letter-h.html. Stay tuned for I is for... on Monday!! Posted on April 10, 2017, in A to Z Challenge and tagged A to Z Challenge, atozchallenge, James Bay, Victoria. Bookmark the permalink. 9 Comments. I love doing the A to Z! You are off to a roaring good start. Why did you choose Huntington place for this post? I love your blog theme. It began with H…I guess that’s it. It’s hard to find out about street names!! That is a funny sign. 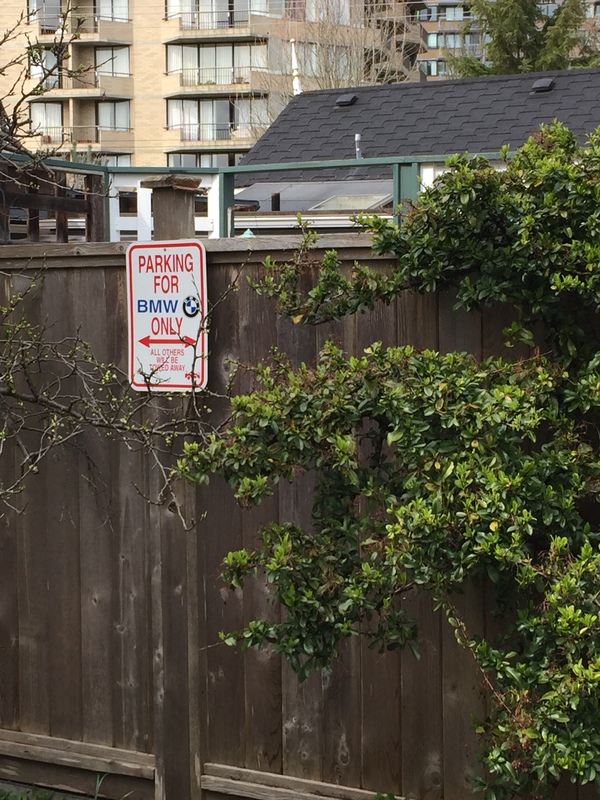 I wonder if they really would tow away other kinds of cars? We have had streets around here where the name has been changed. For a while it creates a bit of chaos. I always wonder why they change street names around here – seems to have happened quite a bit!